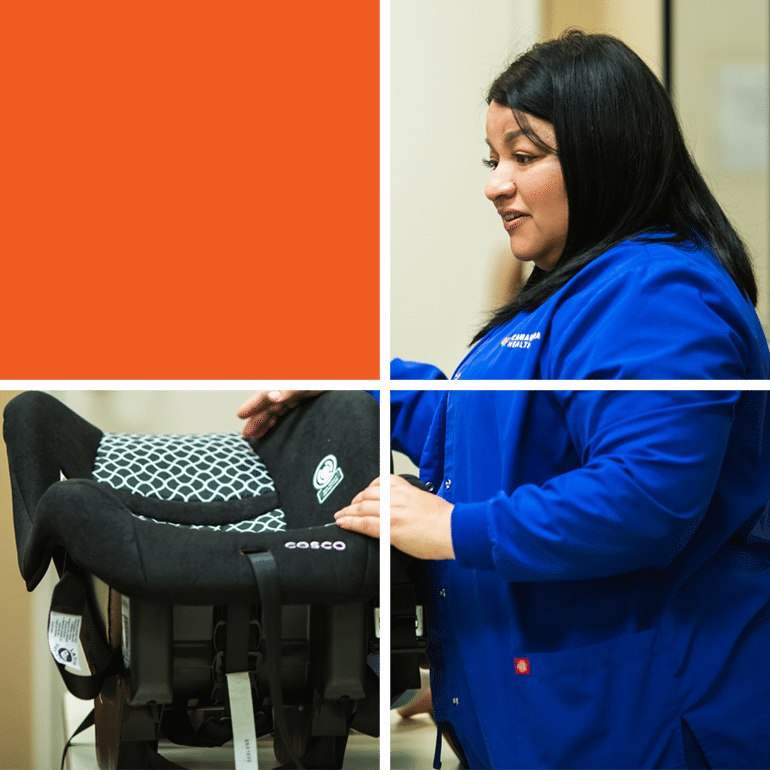 Camarena Health’s Car Seats Program is an interactive, educational, hands-on class to patients and community members, facilitated by Certified Child Passenger Technicians. The program was developed in 1993 in partnership with our local California Highway Patrol office, funded with a grant from the National Highway Traffic Safety Administration. After this grant expired, the health center continued the program as a demonstration of its commitment to reducing unintentional injury to children in our community due to the non-use or misuse of child safety seats. Our organization has received funding from Kids’ Plates, State Farm, and Camarena Health’s Trees for Charity and the Annual Golf Tournament fundraising efforts throughout the existence of the program. For more information about Car Seats for Kids, contact (559) 664-4000.